Argentina is the world's fourth or fifth-largest wine producing country. Many people don't know that. They know about the Pampas of the Gauchos, the Tango dancers passing a thorny rose mouth-to-mouth, the political setting for a British hack-composer's mega-successful theatrical musical in 1978 turned into a 1997 movie and ruined by Madonna, the loss of the Malvinas, AKA the Falklands, to Great Britain in 1982, and the Hand of God deployed by Maradona against England in retribution to win the 1986 Quarterfinals at the FIFA World Cup in Mexico. Any direct correlation between the Evita musical and that ensuing Falkland War is in all probability just coincidental. People know all of this, yet, what most people don't associate with this South American country is wine. Mention wine and South America in the same breath and the kneejerk reaction by most people will be about their neighbor on the west side of the Andes, Chile. Nothing against Chilean wine, it stands on its own merits. But, in the last decade, good wine and a P.R. push has started to get Argentina notice from wine critics and, more importantly, wine drinkers. Part of the reason Argentina wine has been flying under the radar is that besides being one of the world's top wine producers for decades, they have also been one of the world's top wine consumers, drinking much of their own and leaving little for export. Another contributing reason to consider is that for decades the country produced wine of lesser quality, wine that was closer to a cheap barroom brawl than a sip of radiance in the front wine parlor. But the decline in domestic demand in the last decade or so caused many producers to seek export markets for their wine. This in turn led to the realization that higher quality wine was necessary to compete with their westerly neighbor, Australia, Spain, and their target market's domestic competitors. Investment slowly, steadily, methodically ramped up-vineyards expanded, bodegas were upgraded, modern technology and techniques were infused, and following a standard stimulus-response paradigm, wine improved, actually, improved significantly. Today, not only can excellent value whites and reds for $10 and less be found in most U.S. wine shops and grocery stores, delicious premium varietals are finding their way onto the shelves and getting high ratings among the critics, and getting wine drinkers to smack their lips and go, "Yumm…" Likewise, prices for more complex wines are getting pricier but still represent a good value for the quality. Argentina's wine history began with the Spaniards. Centuries ago, starting from the mid-1600s, vines were brought and planted by Spanish missionaries, conquistadores, and other settlers. While wine was made, it was inconsequential. Starting in the 1800s with the end of Spanish rule, immigrants from Europe began arriving. Italians, French, Spanish, and others came with their vines, many coming in the 1890s to escape the phylloxera epidemic that was devastating the Old World wine industry. 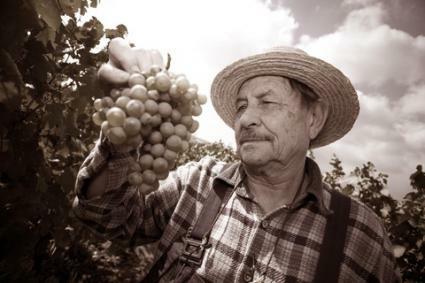 Today, many of the bodegas have been family-owned for multiple generations with a rich heritage in Old World winemaking. Actually sometimes it is easy to confuse an Argentina bodega with and Italian one because they all sound Italiano; in fact it seems that half the restaurants in Mendoza are Italian and what's wrong with that? A new influx of immigrants from the Old World and New World has infused the industry with progressive methods, marketing expertise, and finances to raise the Argentina wine industry to a worldwide level. Argentina is a strip of a country that runs north-south with the northern region bordering Bolivia, Brazil, and Uruguay. The country almost wedges Chile into the Pacific with the only buffer between the two being the high Andes. The country ends at the southernmost tip of the world. When people speak of Tierra del Fuego, it's in Argentina and it's not a good place to grow grapes. Give up any thought of putting in a couple hundred acres of Syrah to get a jump on other growers, it's where ice grows best and ships crash on rocks. When the Euros arrived they found agreeable grape-growing land along the eastern slope of the Andes. Argentina is primarily an arid land, but agriculture on this eastern slope benefits from natural water runoff down the mountains from melting snow. There are seven wine regions to consider with one to dwell on. There's Jujuy, a minor region in the north and hardly worth mentioning except it can claim some of this highest elevations for producing wine, an anomaly to keep in mind for your appearance on Jeopardy. Salta offers more but is still is limited. There's also San Juan, La Rioja, Catamarca, and Patagonia. Patagonia is that long undeveloped and untamed region in the southern regions where the pampas envelops the terrain and the Gauchos howl at the moon in Spanish. It's also the fastest growing region in Argentina that is still relatively unknown in the U.S. However, you can set all of these regions aside; the one to consider that dominates the wine on export shelves around the world is Mendoza. It's the Napa Valley, the Medoc, the Chianti, the Barossa, the Ribera del Duero of Argentina. 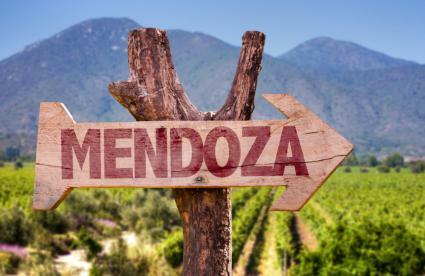 Mendoza is the country's leading wine region, particularly for export. It is the country's spokesperson for wine. It is a plateau east of Buenos Aires, almost 1,000 miles away, that butts up against the Andes. Its actually closer to Santiago, Chile than Argentina's own capital. Approximately 70 percent of the country's wine comes from Mendoza. Grapes and wine compete with other agriculture as this region is the veggie and fruit basket for the nation. The climate is excellent for producing ripe fruit with warm-hot summers and cool winters. Within the diverse Mendoza, there are two prime wine sub-regions, Lujàn de Cuyo and Maipú. Lujàn is to the west of the region's capital of Mendoza and Maipú is to the immediate east and at a lower elevation. 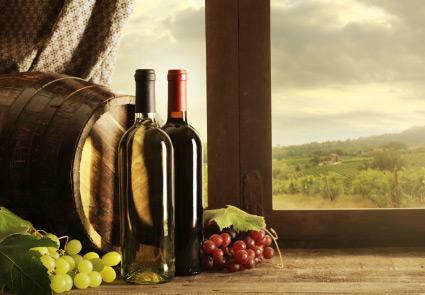 There are a multitude of grape varietals in the country, many minor grapes used to make lower-grade wines for domestic consumption. Of significance are several major red and white varietals that excel and thrive in Argentina. Thankfully, the usual favorite reds of Cabernet Sauvignon, Merlot, Syrah, Pinot Noir, Tempranillo, Bonarda, and Sangiovese have adapted very well to Argentina. Likewise the whites of Chardonnay, Chenin Blanc, Sauvignon Blanc, Semillon, Riesling, and Viognier have also found a home in the land of the gaucho. But the one grape that carries the wine banner, the one synonymous with the country, is Malbec. Every self-respecting bodega in Argentina makes Malbec. It is widely planted and dominates the Mendoza landscape. There is irony to this grape. Its origin is from France, near Cahors, and was introduced to Argentina in the mid-19th century. The irony is that the grape in France is a minor grape of the plebian class thrown in to a Bordeaux wine as an afterthought as a softening character. But something happened to the Malbec when it came to the Argentina foothills: it took on depth and character in sufficient amounts to stand on its own as a single varietal. Malbec wines show intensely dark red and purple hues, dark fruit bouquets, lush red berry fruit flavors, anise, spices, herbal tones, round tannins, a good balance of acidity, and the capacity to age. Malbec pairs exceptionally well with red meat, stews, pastas, cheese, and any other hearty fare you can think of. In fact, one wonders which came first, Argentina's Asado or Malbec? Since the mid-1990s, wine industry investment and consulting expertise has been flocking to Argentina, particularly from the U.S., France, Spain, Chile, and Australia. Seagrams, Robert Mondavi, and Paul Hobbs came from the U.S. Pernod Ricard, Jacques Lurton, the Rothschilds (both Lafite and Mouton) and Moët & Chandon have set up shop and represent the French contingency. Investment from the industry has helped to upgrade Argentina's capabilities, increase capacity, and help produce world-class wine. There are a lot of wineries in Argentina, but best wineries are generally found in Mendoza. The following is a short list of bodegas although not all encompassing. Many of the bodegas carry several lines from lower priced friendly wines to high-end premium varietals that offer up a more profound wine tasting experience. A bunch of Italians who make excellent Malbec with flair and whimsy. Nicolas Catena is Argentina's Robert Mondavi equivalent and a catalyst to the country's nascent industry. He runs the bodega with his daughter, Laura, and produces four lines from the top-tiered Catena Zapata to the low-tiered Alamos. You pay more for the top than the bottom but you can't lose on either end. Bordeaux's brothers, Jacques and Francois Lurton produce delicious Malbec, Cabs, Chenin Blanc, and an intriguing Chardonnay along with higher end varietals. A family bodega founded in 1895 that makes tasty Malbec year after year. There wines are as much fun to drink as it is to say the name. Italian heritage of course. Another bodega founded by an Italian. Pascual Toso came to Mendoza from Piemonte, Italy in 1880s. Paul Hobbs has also lent his winemaking hand here. 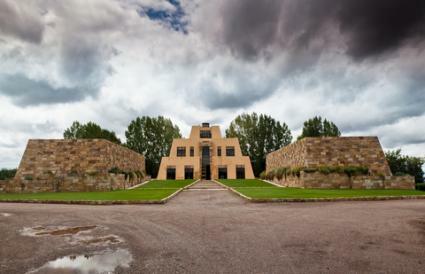 Many of the experts consider this the best winery in South America. Get a bottle of Cavas de Weinert and you decide. From smart buy wines (Los Cardos) to luxurious indulgent wines, Dona Paula has it. California's wine whiz, Paul Hobbs, co-owns Vina Cobos with Andrea Marchiori and Luis Barraud and puts his touch on Cobos, Bramare, and Nativo wines. Woo-Woo.